Ryan Looney (Electric Alley Music) and Ed Sertage (Woodshed Studios) join Jay Croft on the WCM Podcast to discuss the music of Jack White. At the recording of this episode (June 2018), his latest solo record "Boarding House Reach" was still fresh, so we felt it was a good time to feature his music on the show. Part 2 of this episode covers all of Jack's side projects (Raconteurs, The Dead Weather) and his solo career. Ryan Looney (Electric Alley Music) and Ed Sertage (Woodshed Studios) join Jay Croft on the WCM Podcast to discuss the music of Jack White. At the recording of this episode (June 2018), his latest solo record "Boarding House Reach" was still fresh, so we felt it was a good time to feature his music on the show. Being that all of us are from the Detroit area and played gigs in the same general area and time-frame as the White Stripes, Jack White's music is personal to us. In Part 1, we discuss all the records, favorite songs, and what made them special. Part 2 will cover all of Jack's side projects (Raconteurs, The Dead Weather) and his solo career. In this episode, Ryan Looney returns to talk with me about our favorite drum recordings. We start with our top 10 albums/songs, touch on some honorable mentions, and read some comments from listeners. With this episode, you'll also hear most of the referenced tunes in the background, in case you're not as familiar with them. In the past couple weeks, there's been a lot of people posting their favorite albums on Facebook. The idea is to share the records that have made a lasting impact without explanation. In episode #8, Ryan Looney (Electric Alley Music/Audio) and I talk about one of our favorite albums, Vulgar Display of Power, from Pantera. The first thought was to just dive into this record and compare/contrast to Far Beyond Driven, but we went the extra mile and basically talked about all of their records and how they made a lasting impact on us and the metal community in general. 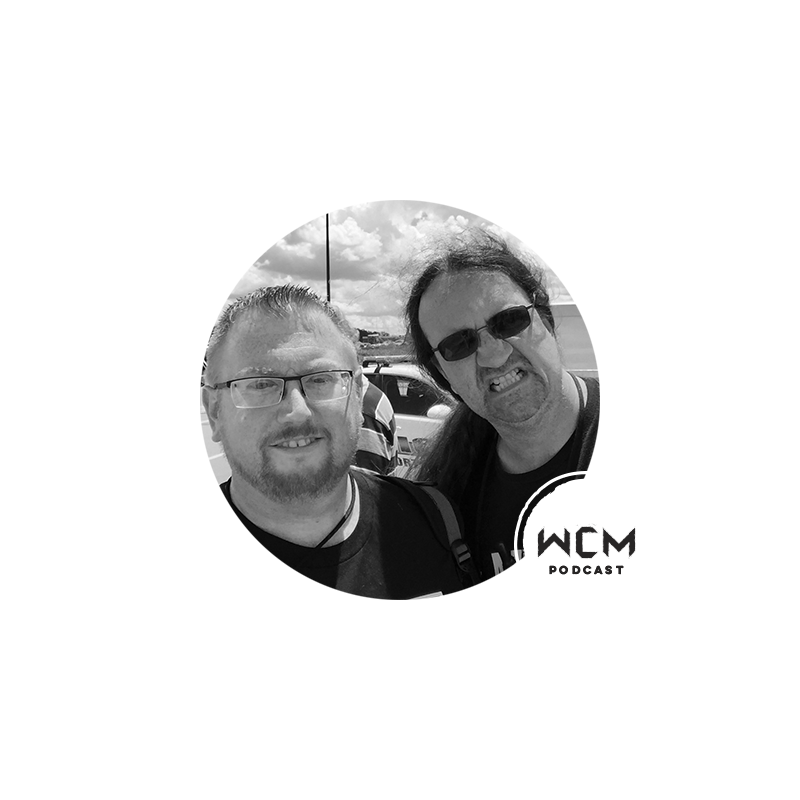 WCM Podcast #7 - Haunted Dreams Release! On Friday March 9th of 2018, I released my 4th single with Warm Chord Music, called "Haunted Dreams." In this episode I discuss some of what went into writing and recording this song. I also discuss what I'm currently doing to promote the single and how you can help spread the word! Near the end of the episode, I play the entire song for anyone who hasn't heard it yet, so feel free to fast-forward a bit if you just want to hear the song without the commentary! In this episode, I interview Mary Spender, a super-talented singer/songwriter from Bristol in the UK. In 2014, Mary released the EP entitled "Faux Americana," which includes 4 well-crafted and recorded original songs that keep you coming back for more and make you wish there were 4 hidden tracks to discover. She has since released the follow-up "Taking Shape EP" and is in the process of releasing new material while preparing for a tour. I found out about Mary while checking out some YouTube videos from other creators that I follow and have been a fan ever since. One of the things that made me want to reach out and interview Mary was her willingness to share her story with fans and how she goes about putting together her songs, which is very much in the spirit of what Warm Chord Music is all about. In this interview, Mary talks about writing and recording her music, her influences, and experiences as a performing artist trying to build her brand and share her music with the world. In November of 2017, I invited Ed Gawlik and Chris Slapnik to appear on the Warm Chord Music Podcast to discuss their band, Eva Under Fire. If you're not already familiar with EUF, you owe it to yourself to give them an honest listen. In keeping with the concept of this podcast, I wanted to explore how the band has been able to forge such a strong bond with their fans and grow beyond the Detroit area in just a couple years. We hit on this topic, as well as many others such as: stories from the road, favorite records from the 90's, the local scene, gear, and more. Episode #4 of the Warm Chord Music Podcast features an interview with Detroit-based singer/songwriter, Matt Dmits. Matt has been playing original music in the Detroit scene since the late 90's and is about to release a new album titled "Thinnest of Threads." We talk about how the new album was recorded, the stories behind the songs, and the songwriting process in general. This is a longer episode than most, as we dive much deeper than your typical interview and play clips from the album, so grab a cold brew or hot cup of joe and enjoy! The third episode of the Warm Chord Music podcast features Ed Sertage of Woodshed Studios, and Ryan Looney of Electric Alley Music. The three of us had a fun roundtable chat after our first day at Sweetwater Gearfest 2017 in Fort Wayne, IN. During Sweetwater Gearfest 2017, I interviewed Sales Engineer, Robert Williams. We discuss what Gearfest is like from his perspective, the amount of preparation that goes into it, and his overall thoughts about working at Sweetwater. We then get into his favorite albums, which leads to a cool discussion about "Hemispheres" from Rush. Glenn Fricker has built up quite the reputation as a heavy metal recording expert on YouTube and was just passing the 200,000 subscriber mark when I caught up with him at Sweetwater Gearfest in 2017. In the first episode of the WCM Podcast, Glenn and I chat about his channel, the Revv Generator 120 amp, and his favorite albums for music production.